Today we’re chatting with Victoria Redhed Miller, the author of Pure Poultry: Living Well with Heritage Chickens, Turkeys and Ducks. And if you think that looks like a banty hen with turkey poults on the book’s cover, you are correct. Living off-grid, Victoria sometimes has bantam hens hatch a variety of poultry, rather than using an electric incubator. Thrifty Homesteader: Why did you move to the country and start a homesteading lifestyle? 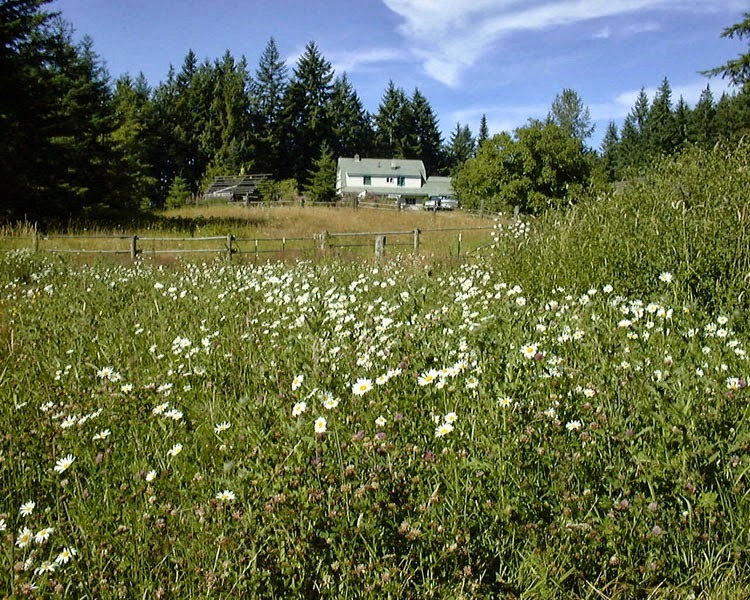 Victoria Redhed Miller: My husband David’s grandparents bought this property back in the 1930s. We moved out here in 2006, after David retired from his job in Seattle. We weren’t looking specifically to live off the grid. Our place just happens to be off the grid, and we love it that way. Ever since he was a kid, David had been hoping to live here someday. As his retirement approached, we spent a lot of time talking and daydreaming about what it was going to be like to live there. We wanted to raise more of our own food, and were really looking forward to designing and installing our own solar-electric system. We like not being dependent on the electrical grid. We have our own spring-fed water supply, and lots of space for gardens and the poultry. TH: How does poultry fit into your life? V: We had been at the farm for about a year when we decided to start raising poultry. Initially our plan was to raise enough chickens to supply us with eggs and occasionally meat, with enough to share with our families. The following year we started raising turkeys and laying ducks. We got an Egg Dealer’s License (required in Washington State to sell eggs wholesale) and have been selling duck and chicken eggs to a local restaurant and several retail stores since 2008. We still keep some turkeys and breed them, but we don’t sell them commercially for meat. For the past couple of years we have been discussing possible changes in what we’re doing with the birds; it does take a lot of time, and we’re not getting any younger, so we’ll see what happens next. But for now, we enjoy the relationships we have with local customers, and we feel very fortunate to be in a place where we can let the birds free-range on pasture during the day. TH: What other livestock do you have on the farm and how do they fit in? V: Right now we only have the chickens, turkeys and ducks. For several years we raised Tamworth pigs part of the year, raising them out for meat, mostly for curing. Because of our limited pasture space, we realized pretty quickly that we couldn’t raise pigs year-round and still have enough pasture for the birds. At this point we have no immediate plans to raise more pigs; the shortage of affordable organic corn is a factor there too. 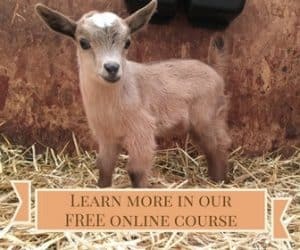 I personally would like to have a go at raising goats, but so far I haven’t convinced David to try it. TH: What’s your favorite part of your lifestyle? V: Not being in the city. I lived in Seattle between when I was three months old and when we moved to the farm, so you’d think I was a confirmed city girl. Definitely not! I was, of course, used to the city and its conveniences and traffic and crime and noise, but I honestly feel at home here on the farm in a way I don’t remember ever feeling in Seattle. 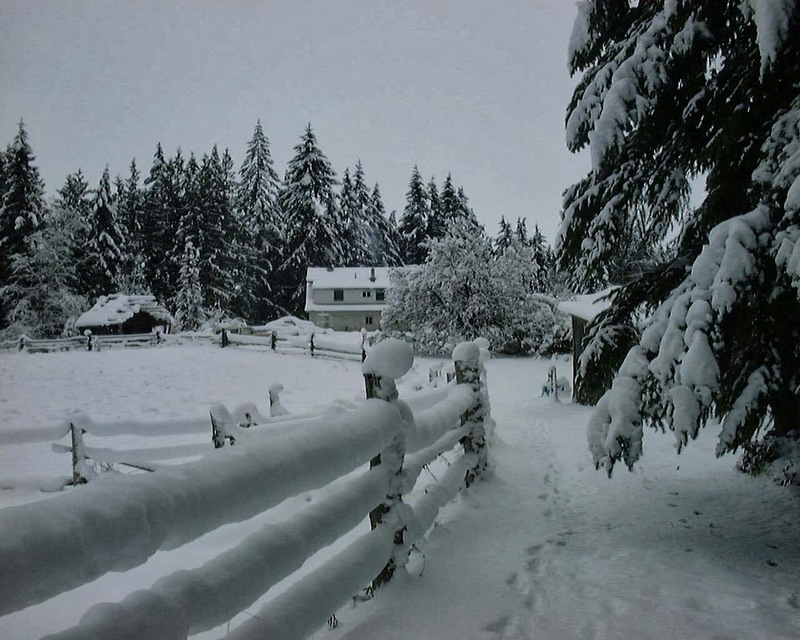 We live at the end of a road in the foothills of the Olympic Mountains, two miles up the hill from our nearest neighbor. Most of the land around us is State-owned, so except for during deer hunting season, it’s usually very quiet here. Still, it only takes about 20 minutes to drive into our town. I always think of it as the best of both worlds, actually. And the older I get the more I value the peace and quiet. TH: What’s your least favorite part? V: Well, being by ourselves out here is kind of a two-edged sword. Sometimes it seems like it would be nice to have neighbors close by, and we do have to deal with trespassers more often these days. In the city it was nice to be able to walk everywhere, but that’s about the only thing I can think of that I miss at all about living in Seattle. I don’t know that I would change anything at this point, though. TH: Any thoughts on going back to the city or your former life? V: Oh, no. The only way I could imagine that happening is if one of was ill or something happened that made it impossible for us to continue to live here. There are so many things about our lifestyle here that fit in with our values and the things we care about, it’s honestly difficult to imagine being somewhere else. We both go to Seattle regularly to visit our mothers and other family members, but neither of us miss living there. TH: Why did you write Pure Poultry, and how did you come up with the name? V: The concept of Pure Poultry has changed a lot since I first started thinking about it several years ago. Mainly my motivation came from the frustration of trying to find answers to questions I had prior to starting to raise chickens; many of my questions were specific to something about our situation, and I couldn’t find resources for many of my concerns. I also noticed that at the time, it was nearly impossible to find anything specifically about heritage-breed poultry. Then again, I thought it might be useful to have a book written from the perspective of someone just starting out with raising poultry. My original working title was Pot Pies and Egg Money; the publisher came up with the title Pure Poultry. Actually I like Pure Poultry better than the title I came up with. It’s succinct, simple and alludes to the premise of the book being about purebred poultry. I hope that readers will be inspired, if not to raise poultry themselves, at least to think about ways they can take a step here and there toward food independence or other kinds of self-sufficiency. We have found that heritage breeds work best for us, and I hope that readers will consider my point of view about heritage breeds versus hybrids. TH: What do you hope readers will take away from Pure Poultry? V: An important message of Pure Poultry is that everyone needs to find out for themselves what works for them in their particular circumstances. The included “Poultry from Scratch” worksheet will take readers through the process I went through in the early weeks and months of our poultry-raising experiences. I certainly hope that readers will be entertained as well. We continually find humor in the day-to-day routine of caring for the birds, and they frequently surprise us with their funny and endearing mannerisms. 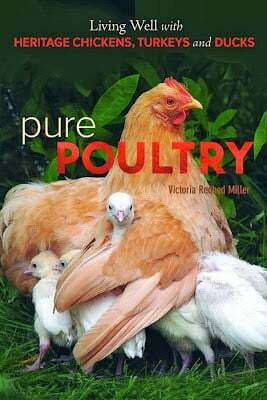 Pure Poultry is a story of our actual experiences, so I hope that it inspires readers to believe that they can succeed in the pursuit of their own lifestyle goals and aspirations. My daughter would absolutely love to have this book for her growing farm library. Thanks for running this. I look forward to adding this book to my growing collection (which includes a signed copy of your bk, Homegrown and Handmade). We love our chickens and are planning to add more to our flock come spring. I'd love to win this! I have a medium sized flock of chickens, breed Ancona ducks, and plan on adding geese to the mix next year. We have all heritage breeds of chickens and they are all unique and beautiful. Most people who have never seen heritage breed are amazed when they come to our yard and stare at those birds in awe. Hens are so much fun to have that we often end up just staring at them for hours. They are funny and relaxing. I'd love to read this! We are currently working out what we want to do with our farm and poultry is number one on our list for next year! I would make this a gift for my sister-in-law who lives in Brooklyn with her backyard chickens (five on them) and two bee hives. I know a farm is in her future. I am currently learning about chickens and ducks for the 5 acre home I recently purchased. Am looking forward to reading this book. We have chickens and are starting a farm beginnings class. We're moving more towards sustainable farming and this would be a great help! Your other books are fantastic! I am sure this one will be a page turner as well! Thank you! 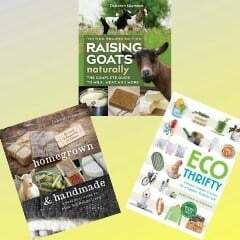 I'd love to win a new homesteading book, especially because this has information on heritage breeds!